The Meridian Standard and Meridian Surveyor gyro compasses manufactured by Teledyne TSS have been given type approval by the China Classification Society. 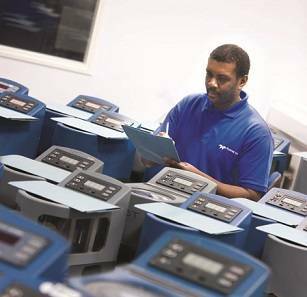 The approval was granted after the Society inspectors completed a detailed study of the gyros, their performance and reliability and the manufacturing processes and quality control methods employed at the Teledyne TSS factory in Watford, U.K. The approval will now open the Chinese shipbuilding and offshore survey markets for these products where it is expected that their performance and pricing will be welcomed. 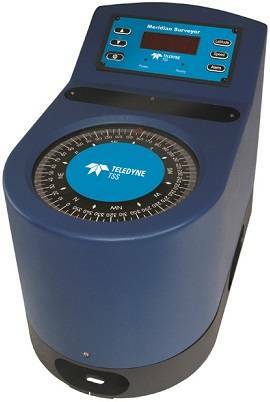 The need for commercial shipping to carry type-approved mechanical gyro-compasses has maintained a demand for the high quality products manufactured by Teledyne TSS. The company has responded to this demand by pursuing a sustained development program that has resulted in a range of products that set bench marks for performance while being built to the highest standards of precision engineering. The Meridian range is already IMO, Wheelmark and Russian Maritime Register of Shipping approved and includes versions with High Speed Craft certification. The original Meridian gyrocompass was launched in 2001 and since then it has achieved extensive world-wide sales. It is available as surface or subsea versions and there are now known to be more than 4,000 Meridian gyrocompasses in use aboard ships, boats and submersible craft around the world. The Meridian Surveyor is positioned at the top of the Teledyne TSS range and is a high-precision gyrocompass capable of providing dynamic heading accuracies of ±0.2⁰ even in extreme sea conditions. With a settle time of 40 minutes, the Meridian Surveyor is a British-built precision instrument capable of maintaining heading accuracies through turn rates as high as 200⁰ per second. By using state-of-the-art digital electronics and advanced manufacturing processes, exceptional reliability is built-in by Teledyne TSS so that users can benefit from a Mean Time Between Failures (MTBF) of more than 30,000 hours. Gyrocompasses from Teledyne TSS include mechanical and solid state options - the company also manufactures pipe and cable trackers, a range of motion sensors and the Orion inertial navigation system which combines ring laser gyro technology with advanced motion sensing.